John “Gungie” Rivera’s son Cristian died from a rare brain cancer, and the dad turned the tragedy into a crusade for a cure for the fatal disease. 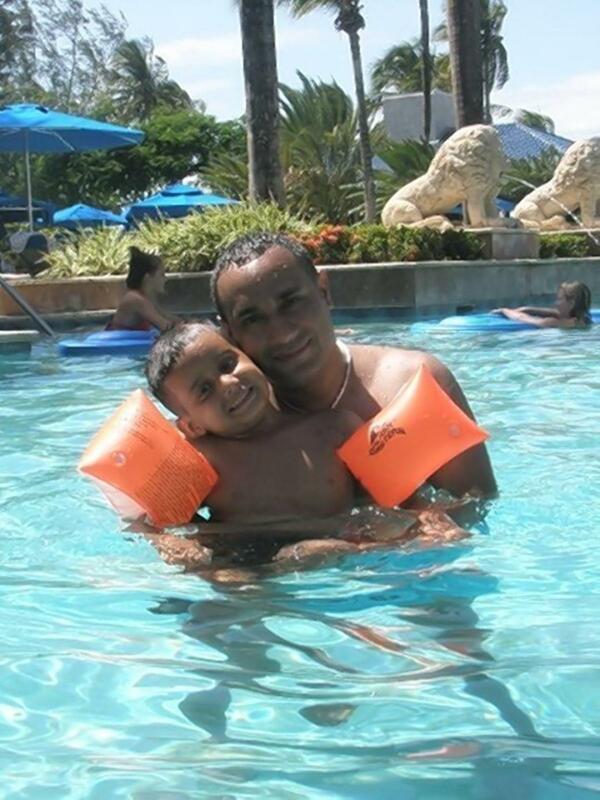 Nearly a decade ago, John Rivera turned the worst crisis a parent can face — the terminal cancer diagnosis of his young son — into a lifelong quest to help save other children’s lives. In 2007, Rivera’s 4-year-old son, Cristian, was diagnosed with a very rare form of brain cancer, diffuse intrinsic pontine glioma, or DIPG. An extremely rare but devastating disease, DIPG affects less than 300 kids each year but has an extremely high mortality rate — less than 1% live five years after being diagnosed. 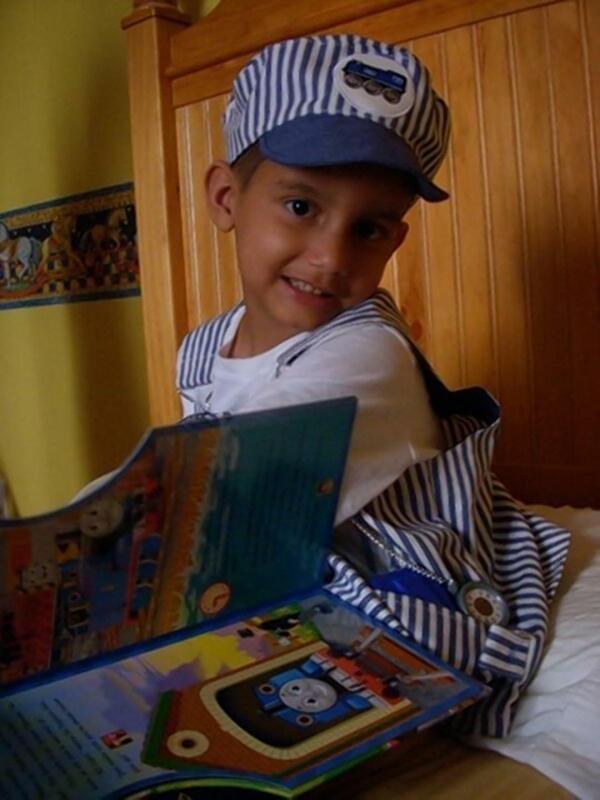 Cristian died in 2009 at 6, but his brave, two-year battle with the disease spurred Rivera to dedicate his own life to raising money and awareness to fight DIPG. Rivera, 52, a music producer and promoter known in the industry as “Gungie,” in 2009 created the Cristian Rivera Foundation, a nonprofit that donates all monies raised to hospitals and foundations researching cures for DIPG. On Wednesday, the foundation will host its eighth annual celebrity fund-raising gala at the Broad Street Ballroom in Manhattan. The event, hosted by NBC’s Darlene Rodriguez, will honor Dr. Mark Souweidane, director of the Weill Cornell Pediatric Brain and Spine Center and the physician behind a new treatment trial partly funded by the foundation and its supporters. Cristian died almost a decade ago, and has since created the Cristian Rovera Foundation that donates all monies raise to research for a cure. DIPG tumors are found in the brainstem, making the cancer incredibly difficult to treat with chemotherapy. Dr. Soudweidane’s new trial uses a technique known as convection-enhanced delivery, or CED. This method treats the tumor by inserting hairline fibers laced with a chemo agent through the difficult-to-penetrate blood-brain barrier and directly into the tumor on the brainstem. There are still no confirmed survivors of the disease, but Rivera is hopeful that this new trial is a major step towards a cure. “We’ve been able to treat approximately 31 children,” Rivera said. “Unfortunately, most of them have passed. But there is one little girl that has tolerated the treatment very well. She’s 11, the oldest child I know with the disease. Researchers studying a rare, lethal childhood tumor of the brainstem discovered that nearly 80 percent of the tumors have mutations in genes not previously tied to cancer. Early evidence suggests the alterations play a unique role in other aggressive pediatric brain tumors as well. The findings from the St. Jude Children’s Research Hospital – Washington University Pediatric Cancer Genome Project (PCGP) offer important insight into a poorly understood tumor that kills more than 90 percent of patients within two years. The tumor, diffuse intrinsic pontine glioma (DIPG), is found almost exclusively in children and accounts for 10 to 15 percent of pediatric tumors of the brain and central nervous system. 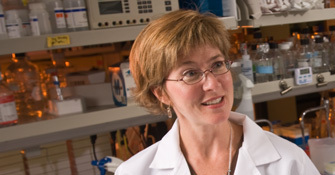 “We are hopeful that identifying these mutations will lead us to new selective therapeutic targets, which are particularly important since this tumor cannot be treated surgically and still lacks effective therapies,” said Suzanne Baker, Ph.D., co-leader of the St. Jude Neurobiology and Brain Tumor Program and a member of the St. Jude Department of Developmental Neurobiology. She is a corresponding author of the study published in the January 29 online edition of the scientific journalNature Genetics. DIPG is an extremely invasive tumor that occurs in the brainstem, which is at the base of the skull and controls such vital functions as breathing and heart rate. DIPG cannot be cured by surgery and is accurately diagnosed by non-invasive imaging. As a result, DIPG is rarely biopsied in the U.S. and little is known about it. Cancer occurs when normal gene activity is disrupted, allowing for the unchecked cell growth and spread that makes cancer so lethal. In this study, investigators found 78 percent of the DIPG tumors had alterations in one of two genes that carry instructions for making proteins that play similar roles in packaging DNA inside cells. Both belong to the histone H3 family of proteins. DNA must be wrapped around histones so that it is compact enough to fit into the nucleus. The packaging of DNA by histones influences which genes are switched on or off, as well as the repair of mutations in DNA and the stability of DNA. Disruption of any of these processes can contribute to cancer. Researchers said that the mutations seem unique to aggressive childhood brain tumors. The results are the latest from the PCGP, an ambitious three-year effort to sequence the complete normal and cancer genomes of 600 children with some of the most poorly understood and aggressive pediatric cancers. The human genome includes the complete set of instructions needed to assemble and sustain human life. The goal is to identify differences that explain why cancer develops, spreads and kills. Researchers believe the findings will provide the foundation for new tools to diagnose, treat or prevent the disease. For this study, researchers sequenced the complete normal and cancer genomes of seven patients with DIPG. “The mutations were found at such high frequency in the cancer genomes of those seven patients that we immediately checked for the same alterations in a larger group of DIPGs,” Baker said. When researchers sequenced all 16 of the related genes that make closely related variants of histone H3 proteins in an additional 43 DIPGs, they found many of the tumors contained the same mistakes in only two of these genes. Of the 50 DIPG tumors included in this study, 60 percent had a single alteration in the makeup of theH3F3A gene. When the mutated gene was translated into a protein, the point mutation led to the substitution of methionine for lysine as the 27th amino acid in this variant of histone H3 protein. Another 18 percent of the DIPG patients carried the same mistake in a different gene, HIST1H3B. Researchers are now working to understand how mutations in H3F3A and HIST1H3B impact cell function and contribute to cancer. Earlier research provides some clues. The lysine that is mutated is normally targeted by enzymes that attach other molecules to histone H3, influencing how it interacts with other proteins that regulate gene expression, Baker said. Mutations in the enzymes that target histone H3 have been identified in other cancers, but this is the first report showing a specific alteration of histones in cancer. H3F3A and HIST1H3B were also mutated in other aggressive childhood brain tumors, glioblastoma, that develop outside the brain stem. Of 36 such tumors included in this study, 36 percent carried one of three distinct point mutations in the genes. The alterations included another single change in the makeup of H3F3A not found in DIPGs. The histone H3 genes, however, were not mutated in any of the 252 other childhood tumors researchers checked for this study. The list included the brain tumors known as low-grade gliomas, medulloblastomas and ependymomas plus other cancers outside the brain and nervous system. The H3 changes have not been reported in any other cancers, including adult glioblastoma. “This suggests these particular mutations give a very important selective advantage, particularly in the developing brainstem and to a lesser degree in the developing brain, which leads to a terribly aggressive brain tumor in children, but not in adults,” Baker said. The study’s first authors are Gang Wu, Alberto Broniscer and Troy McEachron, all of St. Jude. The study’s other corresponding authors are Jinghui Zhang and James Downing, both of St. Jude. The other study authors are Charles Lu, Li Ding and Elaine Mardis, all of Washington University; and Barbara Paugh, Jared Becksfort, Chunxu Qu, Robert Huether, Matthew Parker, Junyuan Zhang, Amar Gajjar, Michael Dyer, Charles Mullighan, Richard Gilbertson and David Ellison, all of St. Jude. The research was funded in part by the PCGP, including Kay Jewelers, a lead project sponsor; the National Institutes of Health, the Sydney Schlobohm Chair of Research from the National Brain Tumor Society; the Cure Starts Now Foundation, Smile for Sophie Forever Foundation, Tyler’s Treehouse Foundation, Musicians Against Childhood Cancer, the Noyes Brain Tumor Foundation and ALSAC. Since opening 50 years ago, St. Jude Children’s Research Hospital has changed the way the world treats childhood cancer and other life-threatening diseases. No family ever pays St. Jude for the care their child receives and, for every child treated here, thousands more have been saved worldwide through St. Jude discoveries. The hospital has played a pivotal role in pushing U.S. pediatric cancer survival rates from 20 to 80 percent overall, and is the first and only National Cancer Institute-designated Comprehensive Cancer Center devoted to children. It is also a leader in the research and treatment of blood disorders and infectious diseases in children. St. Jude was founded by the late entertainer Danny Thomas, who believed that no child should die in the dawn of life. Join that mission by visiting www.stjude.org or following us on www.facebook.com/stjude and Twitter@StJudeResearch. Neurooncol. 2012 Jan 10. [Epub ahead of print] An experimental xenograft mouse model of diffuse pontine glioma designed for therapeutic testing. Aoki Y Hashizume R, Ozawa T, Banerjee A, Prados M, James CD, Gupta N. Department of Neurological Surgery and Brain Tumor Research Center, University of California San Francisco, 505 Parnassus Ave., Rm M779, San Francisco, CA, 94143-0112, USA. The prognosis for diffuse infiltrating pontine gliomas (DIPG) remains extremely poor, with the majority of patients surviving less than 2 years. Here, we have adapted standard xenograft techniques to study glioma growth in the mouse brainstem, and have utilized the mouse model for studying a relevant therapeutic for treating DIPGs. bioluminescence imaging monitoring revealed a progressive increase in signal following the injection of either of two tumor cell types into the brainstem. Mice with orthotopic GS2 tumors, and receiving a single 100 mg/kg dose of temozolomide showed a lengthy period of decreased tumor luminescence, with substantially increased survival relative to untreated mice (P < 0.001). A small molecule inhibitor that targets cdk4/6 was used to test AM-38 brainstem xenograft response to treatment. Drug treatment resulted in delayed tumor growth, and significantly extended survival. Our results demonstrate the feasibility of using an orthotopic brainstem tumor model in athymic mice, and for application to testing therapeutic agents in treating DIPG.